This is a wonderful day and perfect for those who love the natural beauty of gardens. We have plenty of areas for those of you who wish to sit & relax whilst soaking in the natural ambience of Stonyford, as well as a delightful tea room serving freshly baked cakes & snacks with adequate indoor & outdoor seating. We have a varied list of music being performed on piano which adds to the atmosphere. And for those of you who wish to purchase any of your favourite plants whilst visiting, we also have a well stocked plant nursery adjacent to the gardens. A Plant lovers Dream ! We will have a great selection of specialist plant growers onsite. Plant nurseries from around the country selling unusual and rare plants. Hardy perennials, Alpines, Shrubs and exotics. Including Carnivorous plants. 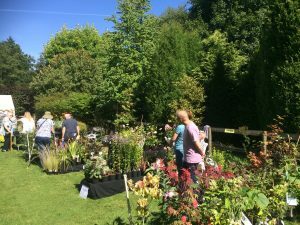 free entry to plant fair. Open Bank Holiday Monday’s throughout the season. 1st November to 28th February – Group Bookings & Events only. 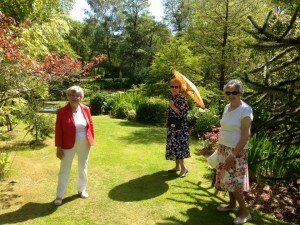 Large Group bookings & Garden Tours by appointment.